That’s right peasants! An entire one. In only one sitting. So go ahead and direct any and all questions to me. I will definitely answer you probably. I wasn’t even that hungry, I just wanted to eat it for breakfast so I did. I also had a glass of chocolate milk. Yes, it was good. And yes, I did hate myself afterward. 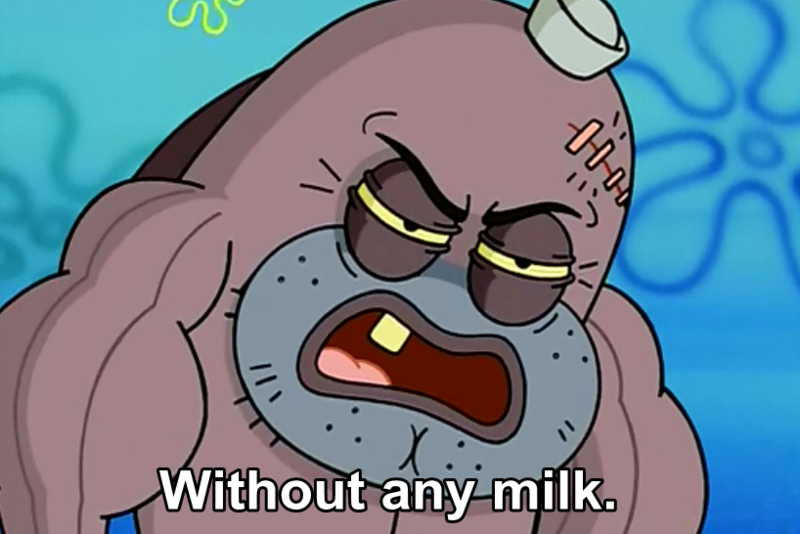 You may have eaten three… but did you have a glass of milk? Your bones are as weak as your attempt to overthrow me. How bad was the explosive muffin grease diarrhea afterwards? I have never had a problem with the muffins being greasy. Although my preference is for poppy seed, which might make a difference. On a scale of one to ten, how do you rate your experiences with the muffin? I once won a muffin eating competition. How do you dare to post on an Evolve forum about eating muffins, but not cupcakes? Note that other muffins from different locations tend to be better. I’d say the average is between a 7 and 8. @Shin I Would highly recommend the world of muffin consumption. I don’t really like muffins or food in general. So icky. Because as much as I like sugar, I am not actually partial to frosting. And have you seen how much frosting is on a costco cupcake? @MidnightRoses you need to eat more, or you’ll never reach stage three. Real monsters end their games at Stage 2. Yeah… I can’t stand frosting. Tried a cake once, it was disgusting… I don’t understand how people can enjoy so much sugar. Because muffins and cupcakes are the same thing. …what bakery do you go to?